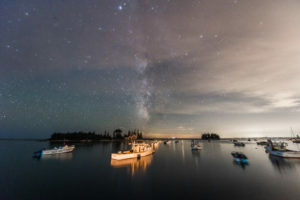 Have you seen the buzz going around about long exposure photography? Have you wanted to try it for yourself? With my workshop we’ll go through several techniques that I have worked on to capture amazing long exposure and night/star shots right here in the Daytona Beach area. While this is not a new technique, or skill there is always minor advances that you need to keep up with before venturing out and trying long exposure work! How does long exposure benefit you? LE photography can open you up to a new world of seeing photographs. Long exposure work will slow down or speed up your scene depending on how you work it. 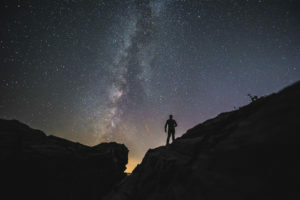 Stars are not the only amazing objects to capture with long exposure! Reserve your slot now! Prices normally $250.00 per person + $65.00 for bringing a friend Now $125.00 and $50.00 for bringing a friend ($87.50 each). Bring a friend and split the cost! Create images like these! I don’t have any special tricks regarding cameras and lenses. It’s all in technique. As part of the workshop we’ll be hands on working in the field to learn those techniques. There are not many requirements to attending the workshop except you will need a few items. Below are a few requirements with hardware and tools you may need. During this workshop we will photograph stars. There will be a hand picked location with some walking required to escape some of the light here in the area. With a small part of the workshop we will explore post processing of the images once complete. This will be done live as we start to unfold some of the images as well as a direct link through YouTube on a private video link. Optional items you may want is a small stool. Some locations may be sandy or dirty. If you do not have any of the above items, loaners may be provided to you with waivers and deposits paid before the class. The workshop will also give you access to all of my long exposure photography images, with detailed explanation of how and what I did for each one of the photos. Don’t forget bug spray! 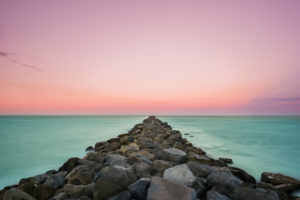 More to Long Exposure Photography than you think! Long exposure: a captured photograph that is made over a period of time. Usually 1 second and longer can be considered long exposure. It’s intent is to capture still objects with crispness while moving objects may blur. The principals in this workshop will give you the tricks and techniques to further expand artistic creativity by using subjects such as people, trees, buildings or other nature features. When you leave with the knowledge that I have obtained over the years you’ll be able to capture and make images with little effort. Particularly with night sky photos you can capture stars that are just faint to the naked eye, seeing new worlds out there. Stars are out there; it takes just a few minutes in total darkness to see how many there really are. We may even be able to capture the Milky Way gaseous bands that you have seen in national geographic photographs out west. Yes, right here in your area! Applying this same style of shooting to every day photography life, you will see a great improvement in your photography in these conditions. As well you’ll be able to apply some of the techniques for sunset and daytime photographs. Access to a secure blog/website to upload and share you images. Feature on the MDP blog website under the workshop page. Each person who attends and submits to the webpage will have one image featured. 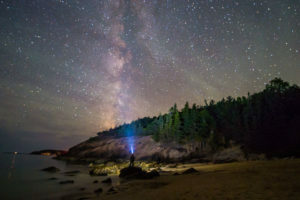 Quick start guide on photographing night sky. When will it take place? After 10 pm in East Volusia. How long? Approx 2 hours. What if it’s stormy? We’ll still go, you can opt to reschedule for the next class. Long exposure photography is responsible for a lot of historical photographs. The film speeds were quite slow and subjects were required to keep still until flash was introduced. This is why smiles are usually absent in older photos. The smiles were hard to hold for long periods of time.